Itoi: What sort of person did you chiefly know me as? Shiraiwa: I didn’t so much “know you” then, but the very first works of yours that I encountered were MOTHER and MOTHER 2. 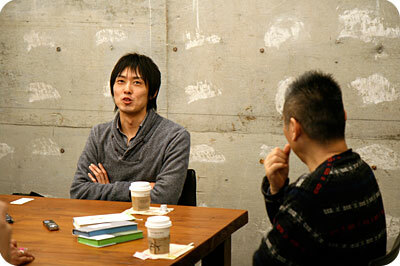 Shiraiwa: At the time, I didn’t know they were your creations; I encountered them purely as merchandise. I learned your name after that and started reading your site when I began studying advertising, but MOTHER was my very first encounter. Itoi: Ah, is that so? Shiraiwa: Yes. Sorry that that’s how it was. Itoi: No, no, don’t be sorry! Actually, I considered MOTHER as a place where it was okay to tell lies, or more like a special place where it was okay to write my thoughts in raw form. Shiraiwa: Your thoughts in raw form? Itoi: Basically, copy writing is my main profession, and because of the nature of that work you can’t simply write down exactly what you’re thinking. Shiraiwa: Yes, that’s true. You’re doing the work for other businesses. Itoi: Yes. I don’t go and write things I’ve never thought about, of course, but with this kind of work you’re forced to find “just the right thing” before you write. Writing only the plain truth won’t be effective, and if you try to think too hard you wind up not being able to write anything at all. Itoi: Yeah. So I did write one, but I didn’t enjoy writing it one bit. Shiraiwa: Oh, really? Why is that? Itoi: But then when it comes to writing it down, it becomes a huge pain. Itoi: Yes. Plus advertising text is much shorter than a novel. And since advertising text is created in a team setting, you can play around with it while other people offer helpful ideas of their own. Itoi: I guess I’ve never really liked doing all the work for something all by myself. Itoi: …Is it really okay for us to be talking about me, though? Itoi: Well, anyway, when putting really plain phrases like “I love you.” as temporary lines into MOTHER or just any RPG, I felt that I really could just throw them in there like that and they would work. Shiraiwa: Because it comes across in a different way? Itoi: Yes, yes. Writing, “I love you.” in a novel is really tough. Shiraiwa: Yes, I can see how it would be hard. Itoi: It isn’t easy. You beat around the bush for a while, trying to build up to it, but eventually you’re either able to say that generic phrase or not say it. Itoi: But with a game, you can just place a single word or phrase in there and have it sound nice. After all, the main characters in most Dragon QUest-style games don’t say anything. Shiraiwa: Oh, that’s right. And that’s why the words can have a direct-ness to them? Shiraiwa: Plus, when you’re actually playing a game, the words come across very straightforwardly. Shiraiwa: So you’re done with them? 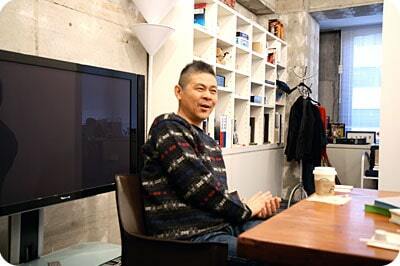 A common misconception is that Shigesato Itoi is a novelist. He’s primarily a copy writer and the manager of his online variety newspaper/magazine. Anyway, it’s common knowledge by now that Itoi has said several times that he won’t make a MOTHER 4, but this is the first time since 2006 that he’s said so. So if you’ve been hoping that he might change his mind after a few years about MOTHER 4, it’s looking less likely. It’s weird to know that these three games have such a huge following, yet he barely seems to think about them at all. And here he said it, and there I stand, no more Offical Mother games. I’m not sad in the slightest, because I know that we all have the 3 AND a fan game that I’m excited for. At least now we don’t have to fight Nintendo anymore about releasing future games too. I’d kind of been offhandedly hoping that he’d try his hand at another game outside of the Mother series; he’s consistently said no more Mother from him, but this is the first time I’ve seen a statement to the effect of “no more games”. It’s kind of a disappointment that the kind of workaround I had in my head isn’t a possibility either. Yeah seriously. Fighting nintendo… I was never actually for that. All we need these days are some good rom hackers, and several true fans will buy from overseas to show their support. It was pretty obvious that it would never happen, but people can still hope right?… Right? anton, speaking of ROM hackers, maybe Itoi’s clear statements of no further games will serve as encouragement for translators to look at his past titles (e.g. the Bass Fishing series), as all that’s left unconsumed by western players. I’m fine with just a trilogy, I mean, it’s better to have three good quality games that have a lot of time, effort, and heart put into them than, say, ten that are good, but not consistently good, that seems to be a problem many times with game franchises that go on and on, the quality is not completely consistent where as, all the Mother games are all very good, MOTHER might have aged a little, but it was great for it’s time nonetheless and is still good for an RPG. Besides, didn’t Itoi want to take a break so he could be the player for once and have somebody else do it? Although the upcoming fangame Mother 4 is not canon like the trilogy, with Mother fans being the most dedicated fans on the internet, it is only natural that we take liberty to create our own if there is not going to be another sequel, it seems that, that is sort of a Mother fan’s specifically American Mother fan’s philosophy “If they aren’t going to make it happen, we will” because of this, the Mother fandom will remain strong for years to come. I am JUST like Mr. Itoi; I like getting ideas better than actually putting them down. I’m the same way. I come up with all these ideas, but when I try to put them into action, I just can’t bring myself to do it. I need to bring of team of people togeather that will carry out all the ideas I’m too lazy to do myself. To be honest, I’d like to see a remake of the first Mother game on the Wii. I’ve always wanted to play around in the world of Mother with 3D graphics. And since the first game is a tad bit on the “blah” side (no offense), I think it would be the best choice for a remake. I would love to see a mother 4 but I kinda understand that making a great game for the 4th time is alot of time and work to do and I understand why Itoi says that there wont be a future mother 4.Also thanks Mato for this translation. If Chaisu were to dump the source code, I would port that thing to Mac like a machine. For now, I’d recommend Boot Camp, Mono, or Darwine, those seem to work pretty well for me. Wow! I was totally not expecting that! I’m working on intructions for a future game and it’s really difficult to just start and write unless I have a good idea I just HAVE TO write down. That would be awesome, only it would be a lot more probable that it’d be totally fan-made. Considering how many people out there have actually even heard of the original mother. If it were official it’d have to be a damn good heavily advertised remake. I’ve always felt Itoi was rather tired of making games. I mean, he wrote 3 games all by himself, it’s rather normal/not surprising to just stop wanting to make games. It’s his life, he can do whatever with it. We should be happy we got 3 awesomely-written games instead of demanding a fourth one. I, honestly, can completely understand where he’s coming from, about everything, really. So, even though I’m a little sad there won’t be more Mother, I get exactly what he means. Regardless, this was a good read – it’s always interesting to hear how other creative minds work, especially people like Itoi, who are pretty much geniuses in their field. I never liked how Itoi always seems to treat MOTHER as just a “project.” He really doesn’t seem to pay any mind to something that’s developed such a huge following. I mean, MOTHER is really a drop in the bucket when we think about all of the different media Itoi has tackled, but you would think he’d at least acknowledge its success a bit more. Not knocking the guy, or anything, and I totally understand his desire to move on. 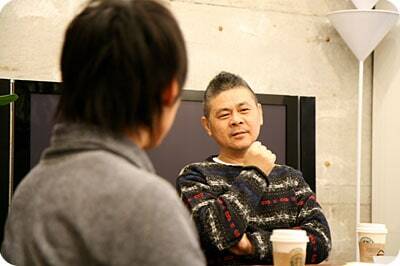 And we have to remember that, unlike Miyamoto, Iwata, or Kojima, Itoi is not a video-game developer by profession. Surely 3 years from now he’ll change his mind, right guys? Itoi reminds me of Bill Watterson (Calvin and Hobbes) in that he seems to enjoy being creative for it’s own sake, not to impress others. That’s such a cool and rare trait in successful people. This dooesn’t surrise me, but I guess it still kind of makes me wish Itoi still wanted to do another Mother game. I guess this is the nail in the coffin. If he doesn’t want much dialogue, why not just make MOTHER 4: The Painfully Substanceless Shooter! I’m learning Japanese to read all the essays and other stuff Itoi’s written. His thoughts are always encouraging and inspiring. Eh, I’m not actually upset by his decision not to make another MOTHER game. To be honest, no series could have a greater finale than MOTHER3. He couldn’t have made a better ending for the games. If he ever does make a fourth one, I’m fine with that too, but for now, I’m perfectly content with the series being a trilogy. Well, the MOTHER series has always been good as a trilogy anyway and it will always remain my number 1 favorite RPG series but I moved on a long time ago. About Itoi, Its been a while since I read anything from him. What does he do these days besides his copy writer job and his online variety newspaper/magazine? Does he still work on Nintendo? Or on video games in general? I do hope that Itoi can at least consider creating another non-Earthbound video game in the near future. Just so I can see how it would do in today’s world of VG. Kris:I’am pretty sure that he knows of the huge success,fanbase,merchandise and whatnot of Earthbound, he just doesn’t almost talk about it so much. Didn’t he discover this site and was very pleased with it or something like that a little while ago? Wait…does ito mean that he won’t work on any video games at all or what? Was he some kind of freelance worker(or however you call it) on Ninty?Does he still keep in touch with the people at Ninty? Miyamoto,Iwata and everyone else he was close to? 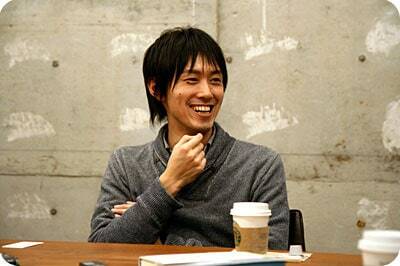 i like reading interviews with itoi almost as much as i liked his games… does that make me a stalker? Clone-a-kirby: He’s very good friends with Miyamoto and Iwata. As for your other question, yes, he was basically like an outside contractor/freelancer. There are more details here. It’s too bad he won’t make an official MOTHER 4. In the old interview from 2006, I think he said something about the idea of somebody else making one. I wonder if it would be a good idea for the guys making the MOTHER 4 Fan Game to show it to Itoi and Nintendo, and perhaps it could become official. From what I’ve seen, it does look very good. It would be interesting if they were to pick up a standard for each game to be made by fans for MOTHER 5, MOTHER 6, etc. I don’t mind that there is no more earthbound/mother games. I just kinda like reading about Itoi these days. Ah, that’s a pity. Personally, I’m not really excited for the MOTHER 4 fangame, or any others- it’ll just feel like a fangame overall and not a MOTHER game. Here’s still hoping he’ll change his mind. Also, it’s actually kinda awesome to see he has the same mindset as me. 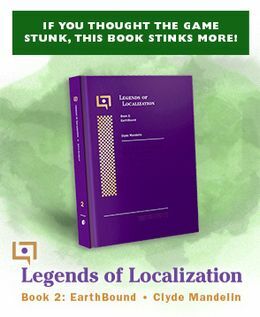 Writing games, not novels… It’s interesting. It’s kind of nice. I like when something good ends. I hate when things drag on forever and lose their value. At least we have three wonderful games chock full of replay value! Yeah! Thanks Itoi.. and thanks Mato for translating. A pity indeed but I guees its for the best. Still lets me down a little bit,the whole “no VC Eathbound” thing made me enough sad as it is(and I think its a little odd that NOJ haven’t so far released Mother 1 and Earthbound on the JP VC,not everyone has a GBA). Well there we have it. No surprise here. Expect the Smash Bros. series to be the only Nintendo games where we will officialy be able to play as MOTHER characters in the future now(unless Nintendo creates another crossover game outside of fighting). i mean for example he was inspired by many things for Making Mother(A.K.A. Earthbound zero) so for a mother 4 he will need another inspiration, this i what normally happens with all the game makers, or how else they are called, i remember hearing “No more metroid series” and then we have metroid prime,1,2 and 3 , also another M is coming, so itoi needs to relax a very loooooooong time, an inspiration may come and then another game. us the fans can help, just look at Chaisu, he i working hard with the Fan game, if someone can show itoi the work at least he will get surprised and maybe another game will come. Damn… No MOTHER 4? I think its ok to haave a fan game after all. I don’t get why so many people want a 4th one after the brilliant finale that was Mother 3. I mean, that game just tied everything up so exellently, why would you want to unwrap it? It would do an Indiana Jones: have three critically acclaimed adventures, and tack a stupid fourth one on just to ruin the name. the people survived?, how is the new world? Giygas will attack again in 1000 years? I’d actually at least like to read Earthbound 64 script and see how much darker it was supposed to be compared to Mother 3. Still though, didn’t Itoi say in some interview that he would be fine with someone else making a MOTHER 4? If thats the case then I vote Miyamoto do it. wow, that a let down..
but wow. This pretty much just seals the deal that the mother series is dead. Our only hope is for fan games to come out, and maybe show Itoi that there is an audience for his product…. The fact that we got MOTHER 3 is astonishing enough. How much hell and anticipation did we all as a fanbase and community go through until we finally got to play the sequel to our favorite game? It was all worth it. It’s nice to know that that’s that and we no longer have to hope, pray, and flood Nintendo’s mailboxes. The only thing I could hope for now would be a MOTHER 1+2+3 down the road, with a remake of MOTHER and possibly a graphically touched up MOTHER 2. Itoi wouldn’t have to do any writing, and really wouldn’t have to do anything but legally allow it to be released. As long as the dialogue and stories stay exactly the same, I’d be happy. A sad confirmation but I feel like anyone who was hoping for a Mother 4 was just dreaming anyway. In my honest opinion Mother 3 ended the series very well, much better then I ever imagined it would have ended. And just getting Mother 3 at all is simply great. Waiting 10+ years for that game was excruciating but so very worth it. I wouldn’t say to completly rule out an fourth Mother game, especially since the franchise is owned by Nintendo and I believe they can do what they want with it, but I really don’t care if we don’t get another Mother game. All I want is Earthbound on the Virtual Console and I’ll be content. Dont get me wrong, Mother 3 was fantastic. Well worth all of the delays. But I dont see way Itoi dosn’t understand that there is a huge audience for his game. I’m sure he understands, but he’s not interested in making another. If he was forced to make one, it probably wouldn’t be as good as the others because his heart is no longer in it. There really aren’t enough reasons or holes to be filled by a Mother 4. I mean, just replay Mother 1 and 2 and you’ll see. Each game ended with an open link to the next, specially related to the main enemies. Mother 1 ended with a hint the story would continue on a next game, Mother 2 ended the same way, but Mother 3 didn’t have that. (****SPOILER ALERT: Just look how Gyigue escapes on M1 swearing revenge, then returns as promised on M2, then Porky/Pokey arises during M2, escapes, and returns as the last main villain. SPOILER FINISHED****) Yeah, we don’t know how the new world is and.. whatever. But it’s clear there is no serious threat, the new world is at peace, even the final texts make it clear. Also since the world restarted there probably wouldn’t be any PSI users anyway. The Mother Player’s role is over. I surely didn’t want the Mother series to end like Final Fantasy or other RPGs that keep going on and screwing themselves over, distancing from what they were supposed to be like, with each sequel. we shouldn’t focus on getting a new game. Starmen.net went through hell getting all of those signatures on a petition so they could send it to nintendo of japan, just so we can get a 3rd mother. We should focuse on EB comeing to virtual console. When Mother was released in Japan, my Mother had only one child at the time. When Mother 2 was released, my Mother had two children to raise. By the time Mother 1+2 and Mother 3 were release for Game Boy Advance, my Mother left behind three children. There are more coincidences related to my life and Mother 3, but I don’t think anyone wants to hear them here. Well, we don’t know if some other guy will create an official Mother game. I wonder if Itoi knows about this place and Starmen.net? If someone else writes mother 4 without any issues, wouldn’t mother be revived. Why doesn’t nintendo make mother 4. Sorry about this, but rant time. Okay, Itoi is the heart and soul of MOTHER and letting only Nintendo do it would be a mess, in MOTHER 3, you may be correct, but you only play as Lucas for the rest of the game, sometimes games need a new set of characters for a more logical story development (No, Mother 1 does NOT have Ness either, that is Ninten), the Chrono Trigger system would never work for an EarthBound game, you may be on it with Smash Bros, but I’ll believe it when there’s an Ice Climber game coming soon, and usually it’s better if franchises die on a high note, and they’re pretty much trying their hardest with returning to the fans, sans Mother, though. Besides, MOTHER will never die because of the fans, and it is impossible because Itoi already left the station, and Nintendo IS willing, they just can’t without him. It would never be the same. The MOTHER 4 team is working hard to keep the signature Itoi-style only the fans could understand. Again, sorry about the long rant. The MOTHER games are so quirky and weird, they just wouldn’t be the same without Itoi at the helm. Now that he’s through with them, that’s the end of the series in my eyes. It doesn’t matter if someone else picks it up and makes a MOTHER 4 – it will be M4 in name only. The series will still end with MOTHER 3 for me.